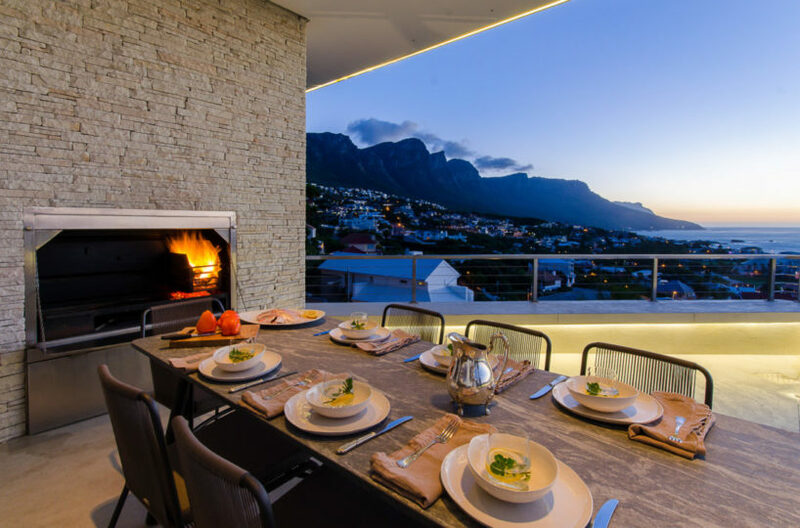 With 360 degree views of the Atlantic Ocean and the 12 Apostle mountain range, Camps Bay villa is an exceptional find, boasting a private pool, a finnish sauna and 4 wonderful double bedrooms. 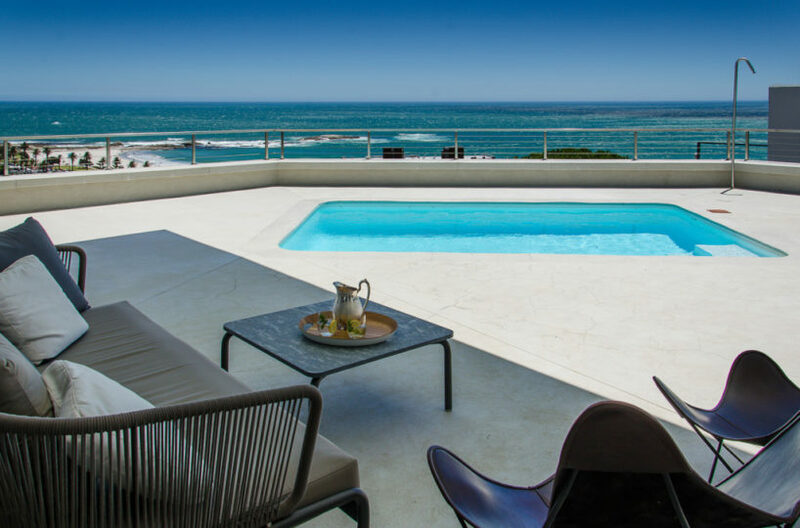 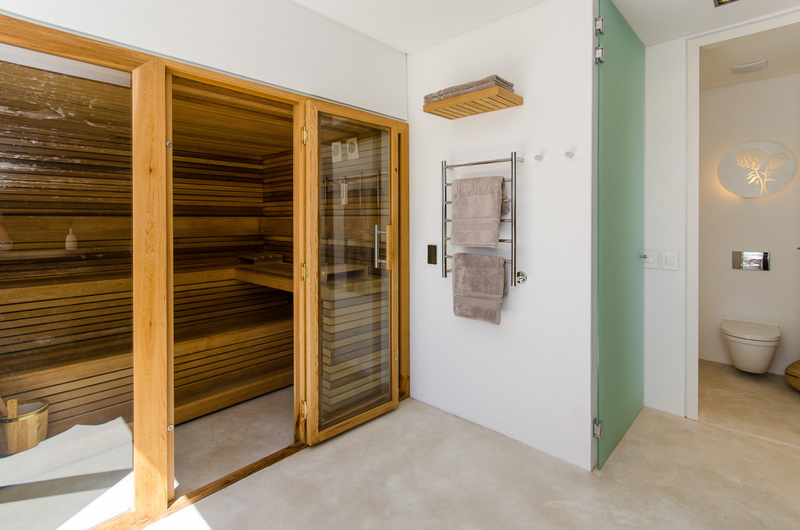 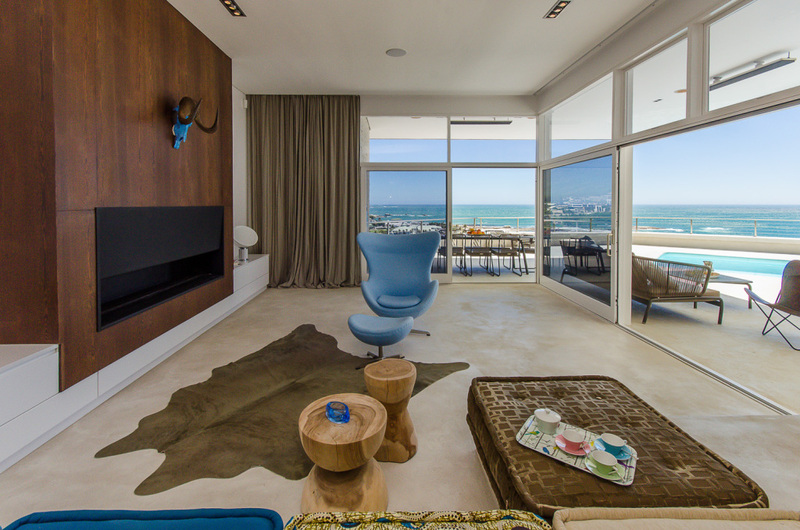 The 50’s style bungalow has been re-styled into an iconic Cape Town holiday villa with a contemporary design. 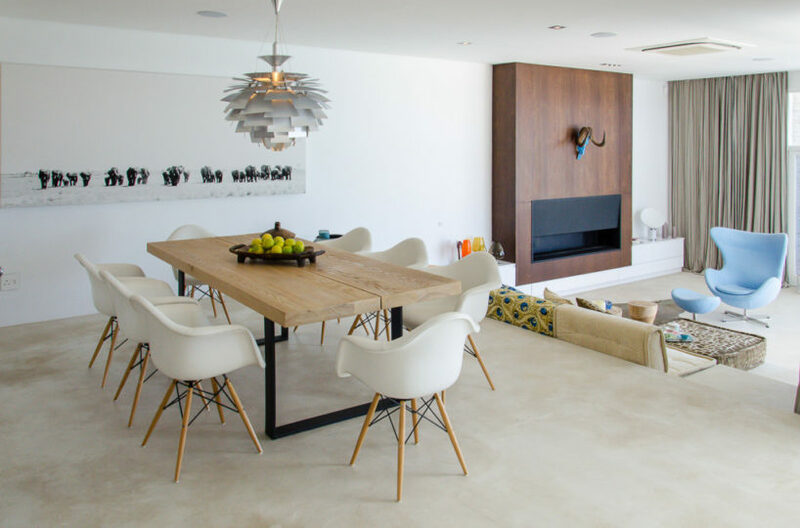 The living area is open plan with a dining table to seat 8 guests, a breakfast bar, comfortable soft seating and a cosy fireplace, whilst the kitchen is fully equipped and includes a Nespresso coffee machine and American fridge/freezer. 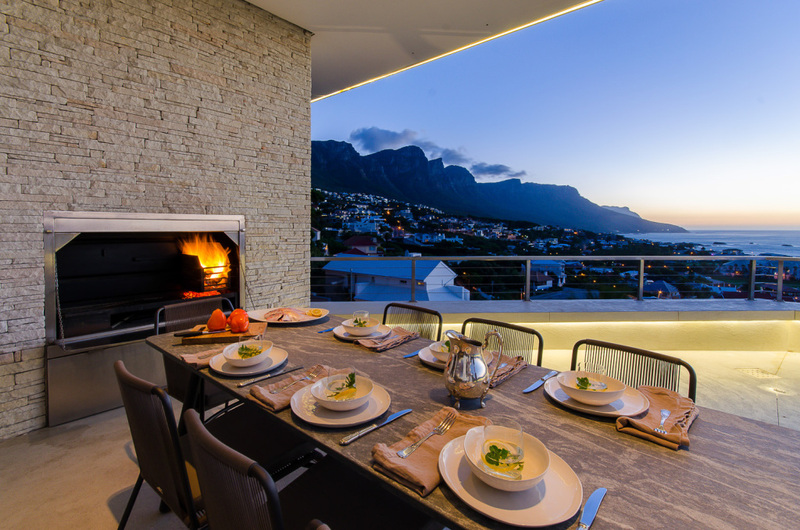 The outdoor entertainment area is vast with outstanding views and faces the sunset year round. There is a built in BBQ and salt water pool in which to spend your days and evenings admiring the incredible beauty surrounding the villa. 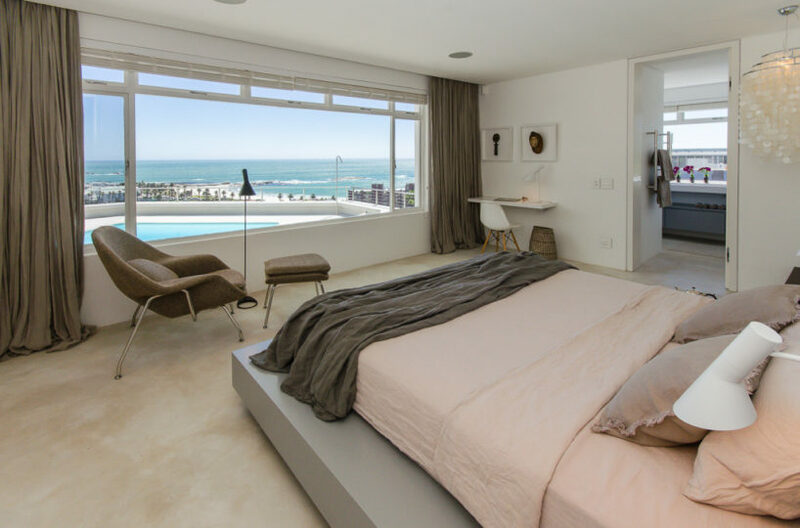 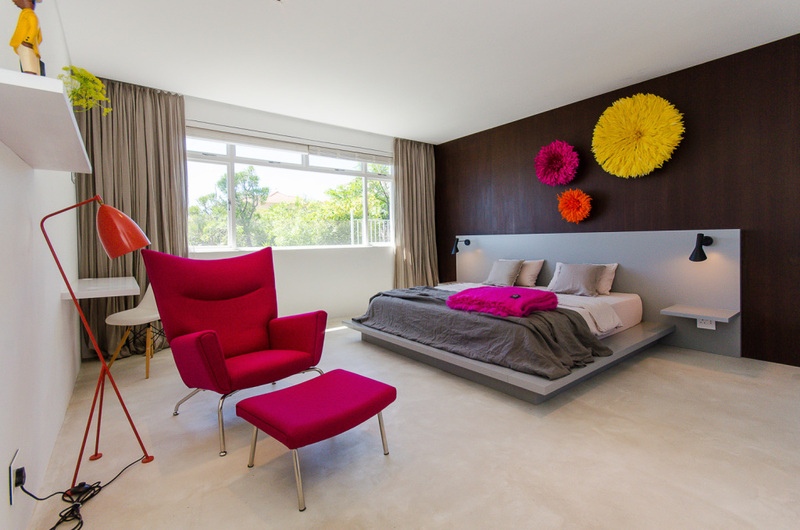 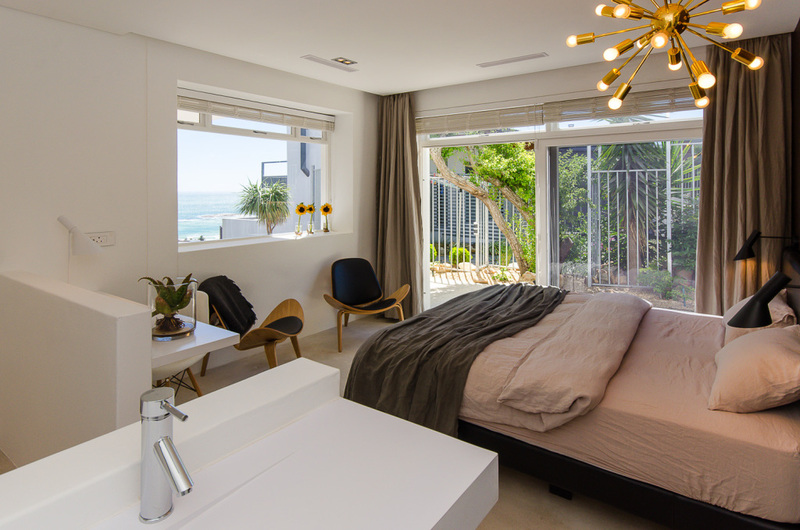 The villa is within easy walking distance to the bars, restaurants and beach of Camps Bay. 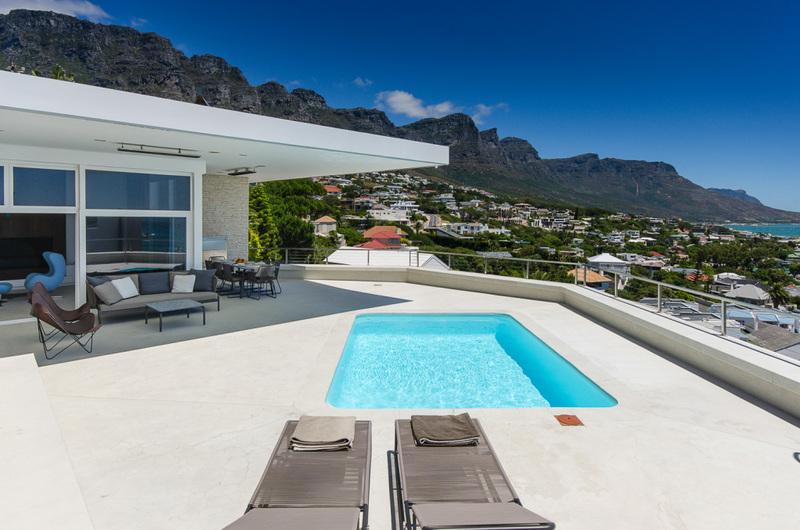 Just 5 minutes drive from Lions Head and Table Mountain and 10-15 minutes into the city / V&A Waterfront. 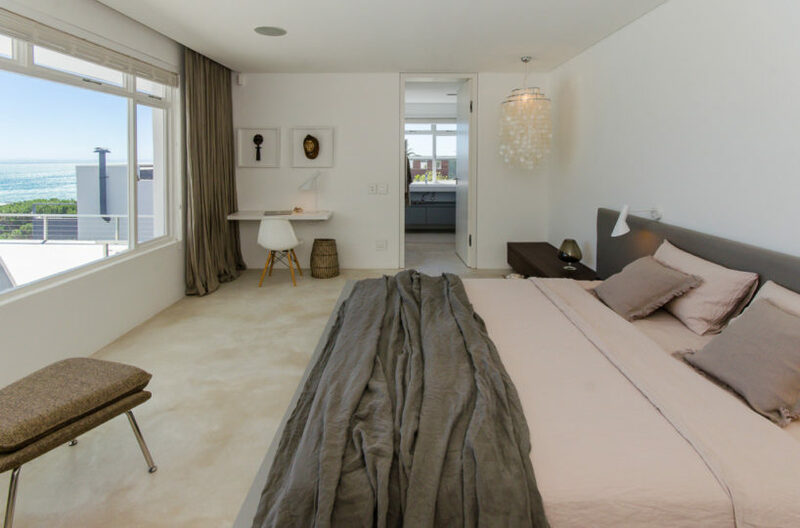 NB: There are quite a few stairs to access the studio and the main house and due to the design is not recommended for toddlers.